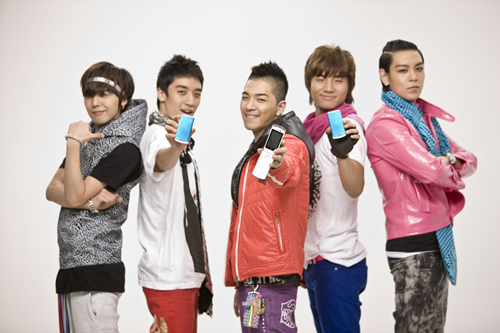 ►►What kind of ringtones do Kpop Stars use? A Japanese magazine published a list which reveals what Kpop stars use as their ringtones. Check out who use the silent-mode, their own songs etc.! The Japanese magazine, “KStar Lovers” shared a list revealing various K-Celebs’ ringtones. The list was as followed. We reported earlier about the tentative lineup for the upcoming Dream Concert 2010 and the finalized list has been announced recently. Dream Concert is undoubtedly an event of epic proportions for kpop fans – with nearly twenty of Korea’s hottest artists performing on one stage in front of an audience that’s 40,000 members strong. For 2010, Dream Concert has been scheduled to take place at the Seoul World Cup Stadium next month on May 22nd, and will be taped for future broadcast by SBS. ►►Performers/line-up list for Dream Concert 2010 revealed! The performers line-up for the upcoming 16th Dream Concert was revealed earlier through Japanese online portals. Indeed, thanks to the Hallyu Fan Card, Japanese fans can already apply for the presale until April 14th, whereas the reservations will be open starting from mid-April in South Korea. Rain, MBLAQ, SS501, Lee Hyori, Kara, Rainbow, Wonder Girls, 2PM, BEAST, 4minute, T-Ara, Davichi, ZE:A, F-CUZ, f(x), SNSD, SHINee, etc. However, it didn’t stop just there. LeeU revealed that he used to weigh around 220 lbs (100kg). His weight sparked some more harsh criticism and jokes from his so-called “friends” and some from his very own dad. “I told my dad that I wanted to be a singer when I was in my first year of junior high, and he told me, ‘Instead of becoming a singer, join wrestling.’ The impact of his words made me lose 62 lbs (28 kg) in one month. I know by now you’re all gaping at the screen and wondering if you read the numbers right. Yes, it is 28 kg in one month! Wanna know the secret to LeeU’s fast weight loss? LeeU began Hapkido, a Korean martial art, and started a diet. He mercilessly followed a steady diet regime, kept track of all the food he ate in a notebook, and calculated his calorie intake. He even resisted all the delicious foods that his father tried tempting him with! Jinon was recently hospitalized for appendicitis. However, the results from his health examination revealed that he was actually suffering from diverticulosis. On March 18th, Jinon experienced stomach pain while preparing to rehearse for Mnet M!Countdown. He was consequently rushed to the hospital, and F.Cuz performed with only three members. CAN&J’s Entertainment stated today that Jinon was suffering from diverticulosis and not appendicitis. Diverticulosis is a condition where small pouches in the lining of the colon bulge outward from the colon wall. CAN&J’s Entertainment is currently discussing if Jinon will undergo surgery to treat his diverticulosis. Jinon already had diverticulosis, but the design of the outfits in which he performed worsened his condition. In the meantime, F.Cuz will not be performing on this week’s KBS Music Bank and SBS Inkigayo. The leader of newbie group, F.Cuz, Jinon has been sent to the emergency room for an acute appendicitis. The idol was attacked unexpectedly by the symptoms of abdominal pain during the rehearsals for Mnet Countdown!. He is currently hospitalized (again), and is awaiting to undergo a mild surgery. Wishing Jinon a speedy recovery. SBS Inkigayo live performances are added! 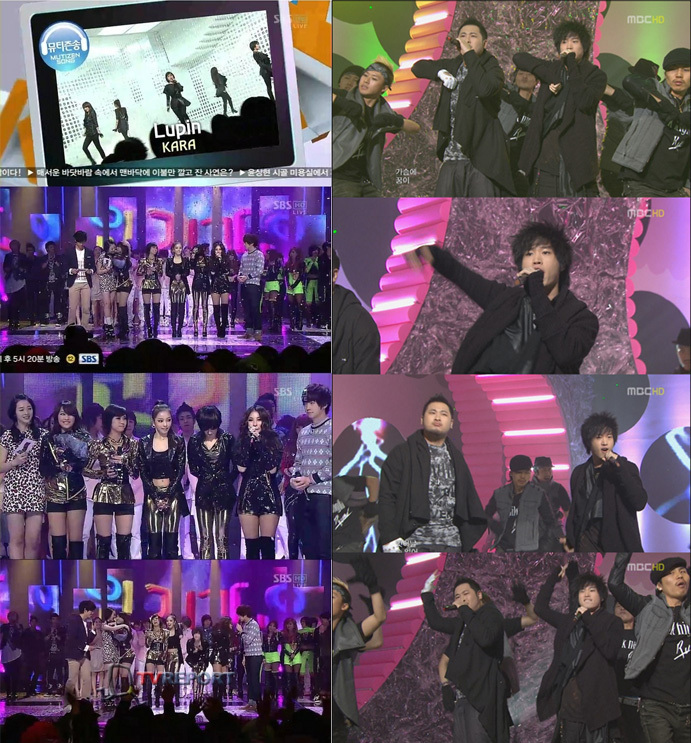 Live perfs (Inkigayo 100314): Epik High’s “Run” + K.Will ft. Eun Ji Won’s “Present” + KARA’s “Lupin” + BEAST’s “Shock” + T-ara’s “I go crazy because of you” + U-KISS’ “Bingeul Bingeul” + F.CUZ’s “No One” + DiA’s “Knock” + D-NA’s “Admiring boy” + Brian Joo’s “In my head” + December’s “Learn to love” + MC Cuts with 2PM’s Taecyeon & Wooyoung and f(x)’s Sulli + Epik High’s Interview + KARA WINS!